Research Interests Software for embedded systems, especially operating system and programming language support. Recent projects have focused on programming, modeling, and simulation tools for wireless sensor networks. Server virtualization and cloud computing technologies, including system and network management software. 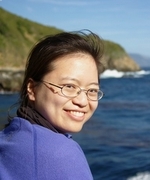 Biographical Elaine Cheong is a software engineer at Cisco Systems, Inc. She completed her Ph.D. in Electrical Engineering and Computer Sciences at the University of California, Berkeley in 2007. She was a member of the UC Berkeley Ptolemy Project and Center for Hybrid and Embedded Software Systems (Chess). She earned a master's degree (M.S.) in Electrical Engineering and Computer Sciences from the University of California, Berkeley in 2003 and a bachelor's degree (B.S.) in Electrical Engineering from the University of Maryland, College Park in 2000. She was awarded the NDSEG, NSF, Lucent GRPW, AAUW, and Intel Open Collaborative Research Fellowships. Web page design adapted from Kamin Whitehouse and Prabal Dutta.